I loved this post! 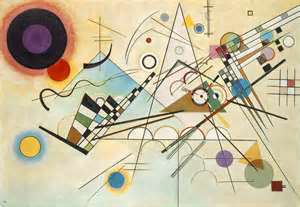 I had never heard about Kandinsky before, but now I love his work and ideas. Thank you for sharing all of this! Mamie, it really makes me happy to turn someone on to Kandinsky! I’m so glad to hear you love him – he really was amazing! Good hearing from you:). 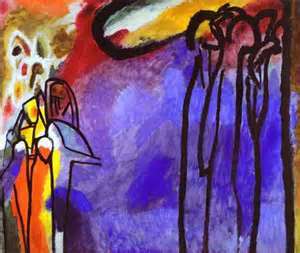 I’d heard about Kandinsky, but I never explored his art or life much. Your first paragraph described me perfectly, so I guess I’m an innate lover of Kandinsky. Brilliant art. Thank you for introducing me to this visionary. Have enjoyed Kandinsky’s works in Museums, but did not know about synaethesia. But when I thought about it, decided I process in reverse mostly, seeing colors when I listen to music. That’s an exciting new awareness. Love it. Thank you. And thanks for your comments on my posts and my blog. Have you read a delightful little book, The Zen of Cats? Something fun, and spiritually insightful, that increased my awareness of tactile spiritual connections. Fabulous post, Kartika! 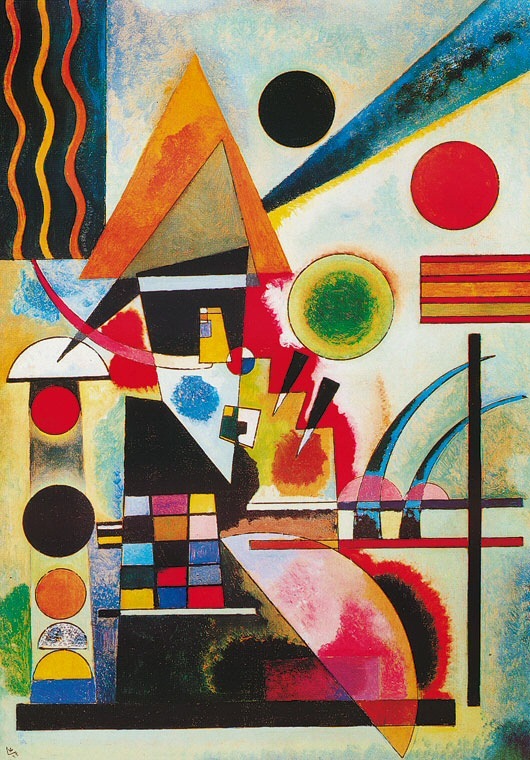 I’ve always loved and admired the work of Kandinsky, and your post inspires me further to go back and revisit more of his phenomenal paintings. Looking forward to reading more of your writing!